Lifeline Dominica - Lifeline Dominica - We Believe! Continues To Help Those Most In Need! families and individuals find sustainable solutions. All Hands and Hearts, an international volunteer organization which recruits adults from all over the world to help communities after natural disasters, iscurrently on Dominica partnering with Lifeline Ministries. All Hands and Hearts – Smart Response team is now stepping in to help with one of the island’s greatest recovery needs – getting children back to school by rebuilding the Morne Prosper school project and, in some areas, reconstructing home roofs. The school provides education for four communities and has been consistently recognized for significantly impacting national development over the last 50 years. The team will retrofit the entire school with disaster resistant walls and roof and repair the interiors of the buildings, the electrical system, a computer lab, the playground and all the outdoor fencing. Lifeline is hands-on action, care & support! For broken people on a healing journey. Help Lifeline make a difference! Lifeline is about helping Dominica! NOTICE: Lifeline has openings for National Employment Program (NEP) interns... Please Contact Us! RECOVERY... after Maria! 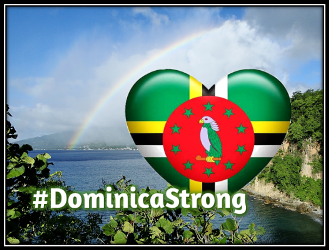 It has been more than a year now, since Maria’s devastating blow that occurred on September 18, 2017, Dominica, our once beautiful tropical island, remains in the midst of a slow recovery process. Many that were vulnerable before remain so still... the disabled, the elderly, single mothers with small children, the mentally ill, and those with special needs. Portions of the island remain without electricity. The rebuilding process of many destroyed homes and buildings continues with the help of several agencies (many who continue to accept outside volunteers) and locals. Many homes and buildings remain fully to partially roofless, some still are covered with tarpaulins. Building materials are remain expensive and often low quality, and there are not enough skilled carpenters. Though many businesses have reopened, many have not and or only partially. Meaningful employment is sparse. Cell phone and internet services, though improved, remains sub-par. Make a monetary donation or learn about other ways to help... Select & Click Below. What we are doing and needs. Teen Mothers Support Program – a new program! ...aimed at funding and appropriate materials needed for mothers and their babies, including baby clothing. Children with Special Needs (Down's syndrome, spina bifida, autism) – Lifeline has identified several children whose families have no financial means of providing appropriate care. This includes medical, education, equipment needs and, in some instances, adequate shelter. Sponsors willing to contribute $100 US per month or one-time contributions are needed. Peaced Together – this program benefits women of any age who find themselves isolated, depressed or victims of abuse. Though stalled for several months, the program is now coming back to life! Funding is needed to support current and new trainers, and to purchase supplies and sewing machines related to participants’ projects. ​Supporting Sexual Abuse Victims – besides providing counseling to victims, Lifeline is campaigning for a Sexual Assault Resource Center (SARC), and a more victim-accommodating, family court system. (For example, an interview with a child victim could be videotaped, and presented in family court, so as the child would not have to appear in person.) The SARC unit will provide an environment that tactfully supports victims emotional health and initiates the healing process. It will also provide medical and scientific equipment that lends to improved justice. Rebuilding Materials – and or contributions related to re-establishing roofs, and households. In one community alone, 86 families have no house and are living in tents since the storm. And a wide-variety of many other things. ...and if you can, lend us a hand. ​Lifeline's Partners and Affiliates Click a logo to visit website.